The 2019 NBA Draft's projected top-three picks have all been named to the AP All-America First Team. 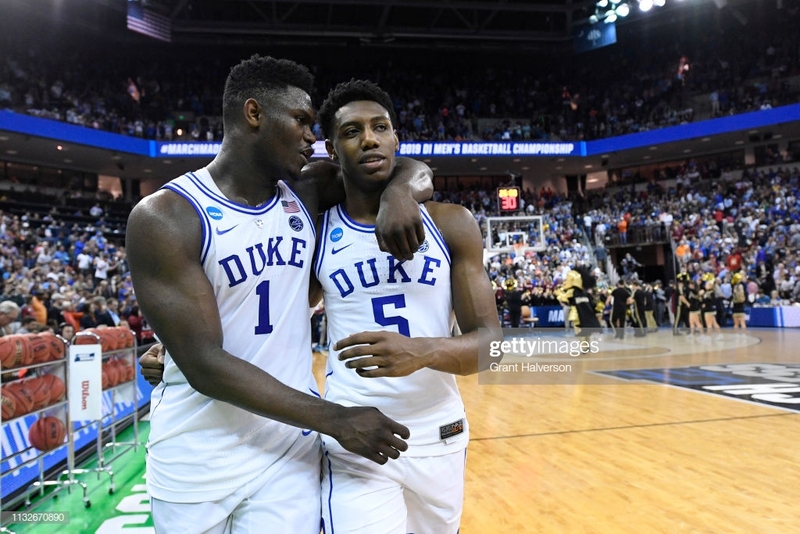 Zion Williamson, Ja Morant, and RJ Barrett are all set to go in the 1-3 in June's draft in some order join Grant Williams (Tennessee) and Cassius Winston (Michigan State) on the first team. Barrett and Williamson are the 12th pair to be named on the All-America First Team together and the first pair of freshman to achieve the feat since 2010 when Kentucky's DeMarcus Cousins and John Wall earned those honors. Williams and Winston both led their teams to solid runs in the NCAA Tournament with the latter taking Michigan State to the Final Four over Duke. Both players were named as their respective conference player of the year. Williamson is the only player on the first team to be voted in unanimously.